As we said in our previous article (here), we are going to continue with our retirement series from another point of view. Imagine that we developed a retirement plan, we retired, and, for whatever reason, we need more money. 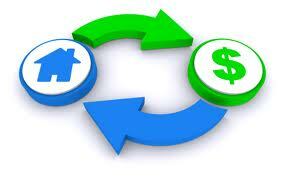 One option we may take is using a reverse mortgage (RM). The reverse mortgage allows us to take out a loan against the equity in our home, but we don't have to repay the loan during our lifetime as long as we are living in the home and have not sold it. Usually, to be eligible we have to be 60+ years old. Once accepted we may receive a lump sum, or a monthly payment. It is a big decision that will impact the estate that we leave to our heirs, so careful planning is needed before applying. Besides reverse mortgages are expensive in general. There are many RM calculators. Just as an example, a man born July 1947 who owns a loan-free flat worth 250.000 USD can get a monthly payment of 333 USD, until he dies. His heirs will have to pay the loan if they want to receive the house once he died. Check out this interesting article from Wall Street Journal.